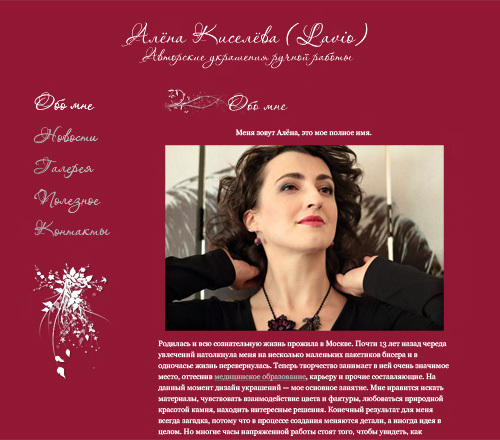 Redesign of Alena Kiseleva’s website. 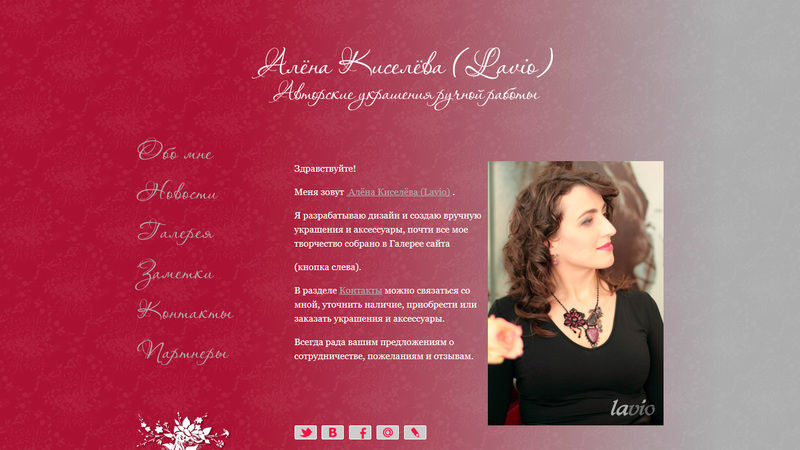 Alena is a designer of wonderful bijouterie, and she works with stones, beads and Swarovski crystals. 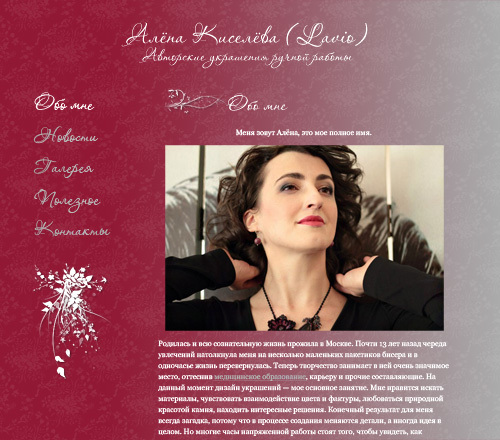 The website design has become less light-minded and more reputable (compare). I didn’t change the structure of this site.